Once you have submitted your form the company has 28 days to respond, if they do not do this then the judge may award in your favour without the need for a hearing. If they contest it, as is likely, especially if the company is insolvent and under the control of an insolvency practitioner, then there will be a court room type tribunal hearing to decide on the case. If the case is complicated, or there are a large number of employees involved, then there may be a pre hearing meeting with the judge to gather evidence and discuss the case detail, timing and any potential issues. You will be informed of any hearing dates and evidence that is required to be submitted, plus if your case is unlikely to be successful. If you need any help, can’t make dates or want to call any witnesses you should write to the tribunal giving them as much notice as possible. Once this has all taken place you will receive a letter giving details of the actual hearing, where the tribunal will review all evidence and make the judgement on the case. You should be well prepared for the hearing, dress smartly and ensure you have all the documents you need to support your case with you. The hearing is open, so you can take people with you, but they can’t speak for you, they can only contribute if they are being called as a witness. 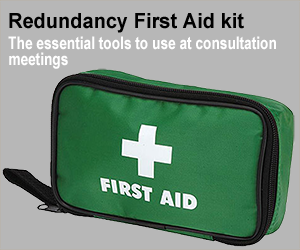 You, or your representative, will put your case for lack of consultation to the tribunal; the judge may well ask questions to fully understand the details and different situations. The employer, or their representative, may ask questions around the detail of your evidence and present their own. If the case is complex, or there are many employees involved, the court may well ask for written evidence to be submitted that you will read through at the hearing, there are likely to be further questions. In these circumstances the hearings may be scheduled for several days. The judge may well reference other employment tribunal outcomes, as these form precedence for the case and ensure that any judgement is consistent and fair. 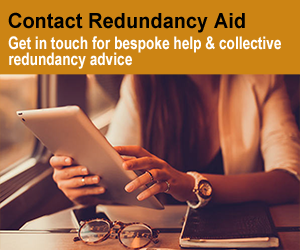 Many of the outcomes of significant points of law on redundancy consultation cases can be researched online, so that you can use this information to help build your case before you go to the tribunal hearing. If it’s a simple case then the judgement will normally be given at the end of the hearing, if not the judgement will be released in written format in the days following the hearing.